From the big screen to an even bigger stage, films have been making their way into our theatres for decades. This said, not all films would be as entertaining when under artificial lighting. The stage adaptation of Blade Runner, for example, would probably be terrible as the action lends itself much more to the technical wizardry of the silver screen. The right stage adaptation takes a film on a new journey, revitalising the stories we love and showcasing them in a whole new light. Here are the films we love seeing on the stage. Celebrating 31 record-breaking years, this classic is the highest grossing musical of all time. If you’ve only seen the 2004 Gerard Butler film you’re really missing out as it really comes to life on the stage. Andrew Lloyd Webber’s mesmerising score take us on a journey as this tragic love story unfolds into a masterpiece that’s truly captivating. One for the aunties, this family favourite was born on the stage before being transformed into a screenplay for us folk to watch in cinema screens everywhere. With ABBA’s hits streaming out of the West End, more than 54 million people have fallen in love with the characters in writer Catherine Johnson’s funny tale of love, family and friendship set on a Greek island. Air guitars at the ready, it makes perfect sense that Broadway snapped up this much loved cult classic. Watch the talented teens in awe as they take to the stage to play the straight-A students along with Dewey Finn on their quest for rock ‘n’ roll. The film made more than £131 million pounds and has now successfully made the transition to the stage with more music, dancing and even more laughs. You’ll be bass-slapping with the best of them. 70 million people, in 43 countries have seen Les Misérables in 22 languages around the world. It follows an epic, enthralling story of unrequited love and redemption. Just like the film, the stage show captures all the drama of 19th-century France, without having to endure Russell Crowe’s crooning vocals. What’s not to love! Set in the Serengeti Plains, join Simba and friends in Disney’s multi-award winning musical, surely on the top of everyone’s must see list. 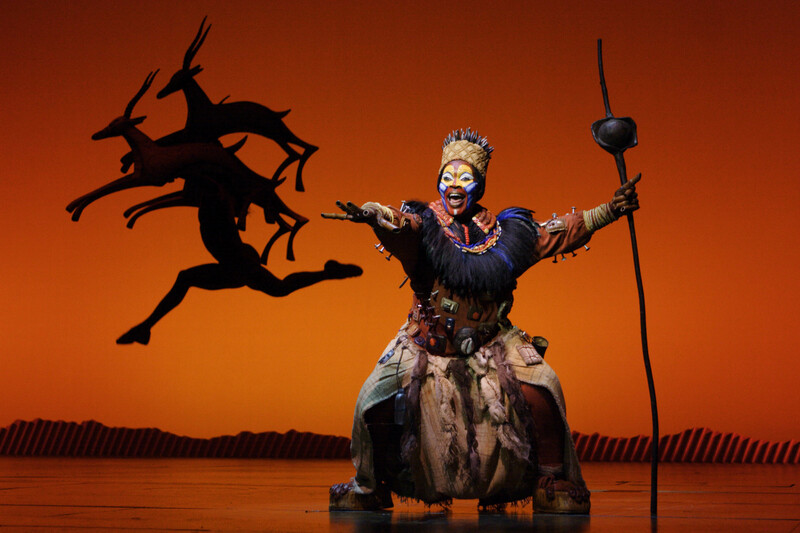 From the colourful costumes, the enchanting music to the explosive effects, The Lion King is more of an experience than a show. Just seeing the logistical effort of how they create the animals is spectacular enough, let alone seeing how the heart-warming plot unfolds. If you haven’t seen these shows in the West End, they are worth checking out. What about your favourite films? Would you like to see any of them given the West End treatment?